American entrepreneur Russell Wendell Simmons is regarded as the pioneering figure who laid the foundation for the cultural revolution by bringing hip hop to every facade of life. In 1984 he, along with the record producer Rick Rubin, co-founded tremendously popular hip-hop label Def Jam Recordings that signed some famous artists including LL Cool J, the Beastie Boys, Public Enemy and Run-D.M.C. and created the clothing fashion lines Phat Farm, Run Athletics, Baby Phat, Argyleculture, and American Classics and Def Jam University clothing lines. He is known to be the man who brought black urban culture into the mainstream. Russell Simmons was born on October 4, 1957 in Queens, New York into a well-educated family. His parents were graduates from Howard University in Washington, D.C. His father Daniel Simmons was a professor at Pace University and mother Evelyn Simmons was a New York City park administrator. His childhood wasn’t very pleasant. After moving to the Hollis neighborhood of Queens, he became involved to a local gang called the Seven Immortals and began selling marijuana while he was still in middle school. He shot a robber at the age of sixteen and had been arrested twice on different charges. He was caught by the police for selling fake cocaine. During the time he hung out at several dance clubs of New York’s outer region where he noticed how the wild crowd would go crazy on predominant music disco. He quit the fake drug business and dropped out of City College and started promoting concerts, local bands and then founded his own management company Rush Management for artists. His Rush Communications included a management company, a movie production house, television shows Def Comedy Jam, a clothing company Phat Farm, a magazine and an advertising agency. He sold his stake in Def Jam Records to Universal Music Group for $100 million in 1999 and Phat Farm in 2004 for $140 million. In 2000, he co-founded the Internet start-up 360 Hip Hop but later he sold it to Black Entertainment Television (BET). 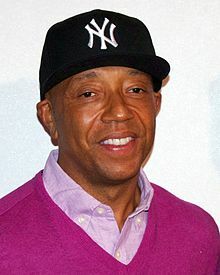 As of 2011, Russell Simmons was the third richest figure in hip hop world with the estimated net-worth of $340 million. He is a yoga advocator and strict vegetarian since 1998 who advocates the practice of Ahimsa and veganism and voices for animal rights, Farm Sanctuary and PETA. He was a Goodwill Ambassador for the UN Slavery Memorial that pays tribute to the victims of slavery and the victims of the transatlantic slave trade. He is also an active philanthropist and has founded the Hip Hop Summit Action Network and the Foundation for Ethnic Understanding. In 2001 he was honored with the 2001 PETA Humanitarian Award by the Ethical Treatment of Animals. He is also the author of Do You! 12 Laws To Access The Power In You To Achieve Happiness And Success. 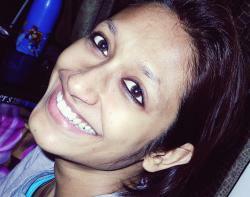 My experiences have been, from the very beginning, cultural and creative. And my business has been a way of exposing the culture, exposing the artists so that the world could hear and see them.